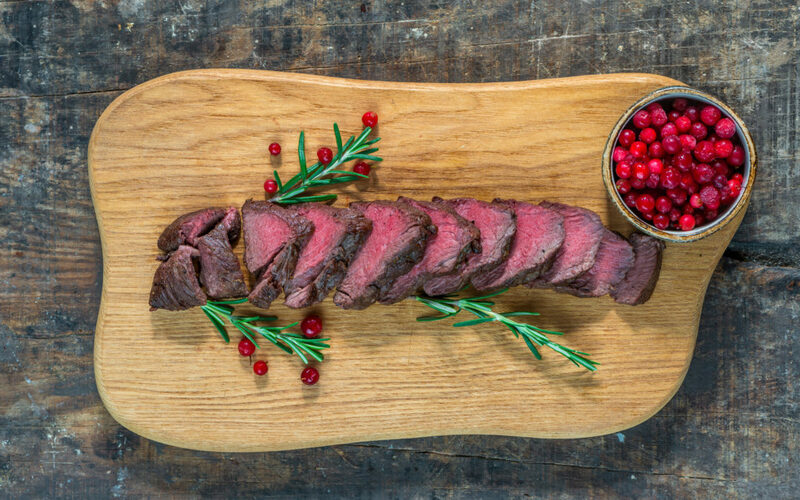 We’re not lying when we say that venison is the best kind of meat you could possibly eat. There’s no better feeling than eating a meal that you have hunted and prepared with your own hands, especially one that has the juiciness of beef and the signature taste of the wild. If you’re planning on hunting and cooking venison, here are some important tips to make your meal as delicious as possible. Trying to find the right amount of time to let your venison sit can be tricky: You want to get the meat off the deer as quickly as you can so that it doesn’t become tough, but you don’t want to cook it right away and risk it tasting gamey. Hiring someone to process the meat is a possible option, but they can be expensive and use a system you yourself wouldn’t use. For the best possible taste, let your venison dry on a rack at 34-37 degrees for 10-14 days. Allowing the meat to dry age will cause the muscles and other tissues to break down, and become much juicier and tender. Unlike beef, leaving the fat on venison will not create a more juicy or flavorful dish. Deer fat does not taste good and the silver skin membrane covering the meat actually suppresses the flavor. Instead, trim the fat from the meat and use a small helping of butter while cooking. This creates a delicious meal that makes a delightful alternative to beef with fewer saturated fats. Venison is a rich and juicy meat, but the different parts of the deer are sensitive to the cooking style you use. Tender areas of the deer, such as tenderloin and loin, are already pretty soft, meaning that they will burn faster than the rest of the deer. Serving tenderloin rare to guests and family is the best option, as you won’t risk drying out the meat or boiling away the natural juices. Ribs and back straps are perfectly suited for a barbeque grill. To get the best venison steaks, marinate the meat with citrus the night before. This masks any gameiness that might have formed in the venison and gives it a strong flavor that your guests will appreciate. At Oak Creek Whitetail Ranch, our goal is to breed the biggest bucks in the US for hunters like you to track and claim. Give us a call today at 573-943-6644 or check us out online to book your next corporate or family adventure.